Nearly all travelers in Cuba pass through Jose Marti International Airport outside of Cuba. The country is somewhat cheap to travel in, with most tourists shelling out $40 to $50 per day. 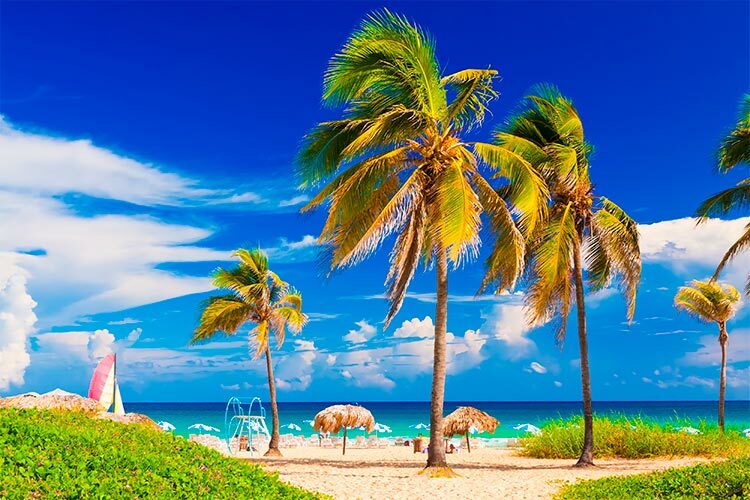 Dry season in Cuba begins in November and ends in May, when temperatures range between 16 and 27˚C (60-80ºF). This is when most travelers come to the country. During the wet season, temperatures typically rise around five degrees. Though trinkets and jewelry are popular souvenirs, most people want to bring back authentic Cuban cigars and locally produced rum. The nation of Cuba occupies the largest island in the Caribbean, as well as the Isla de la Juventud and several smaller islands. Cuba enjoys a largely tropical climate, which along with its beaches draws more than 3 million tourists each year as of 2014. Interestingly, Cuba features two official currencies: the national peso is what locals mostly receive as their wages, and tourists really only need to use this when purchasing food or goods from smaller street markets. This currency is abbreviated CUP. Conversely, the convertible peso, CUC, is valued identically to the US dollar. Niche goods, upscale shops and other tourist-driven areas will only accept the convertible peso. A 25 CUP to 1 CUC conversion rate exists, though one cannot convert CUP back into CUC. In 2013, it was announced that all CUC would be slowly converted into CUP, but this process is far from complete. Like many of the other Caribbean islands, the Taíno were one of Cuba’s most powerful pre-Columbian civilizations. These people were largely farmers, and shared the island relatively peacefully with the Guanajatabey and Ciboney peoples. While these other tribes farmed some, they honed their efforts on fishing and hunting. In 1492, Christopher Columbus first reached the island. He immediately claimed it for Spain, though it wouldn’t be until 1511 that Diego Velázquez de Cuéllar established the first Spanish settlement, Baracoa. Soon after, the Spanish had established several colonies, using the Taíno as forced labor to fuel their expansion. Within two decades, however, exposure to European diseases had virtually wiped out the native peoples. In 1548, all natives were declared free citizens of Cuba. The Spanish would solve this problem by importing slaves from Africa, especially during the 1700s. In many ways, the Spanish purpose for Cuba was to provide an urban, civilized point of contact with the rest of the Americas. By the end of the 1700s, Havana was the 3rd largest city in the Americas and a huge port of trade. During the end of the 1800s, Cuban revolutionary efforts strengthened, largely thanks to national hero Jose Marti. In 1898, the United States declared war on Spain, due in part to its conduct in Cuba. The US won the war, and technically Cuba is still a satellite state of the US. However, the country has operated as an independent entity since 1902. Initially, Cuba became a hotspot for tourist activity, but the Great Depression stifled this growth. In 1940, Fulgencio Batista took control over the country as a dictator after a time of intense political strife. He established a one-party system, though lost control of the country to Fidel Castro in 1959. Castro established close relationships with the USSR, and played a critical role as a Communist power during the Cold War. The Americans closed their borders with Cuba, and in fact the Communist party made tourism in Cuba illegal until 1997. Today, the Communist Party still controls Cuba. In 2015, it was announced that the United States and Cuba would again begin relations, which is expected to vastly increase Cuba’s wealth and revitalize the tourist sector. Havana’s beauty, which is largely influenced by its Spanish roots, has long attracted travelers. The essential sites in Havana are the Capital Building and the Museum of the Revolution. The museum is a particularly fascinating way to acquaint oneself with Cuban history. Havana’s Plaza de Armas is one of the most interesting portions of the city, featuring numerous examples of colonial era architecture. This square is frequented by street vendors with rather unique wares. 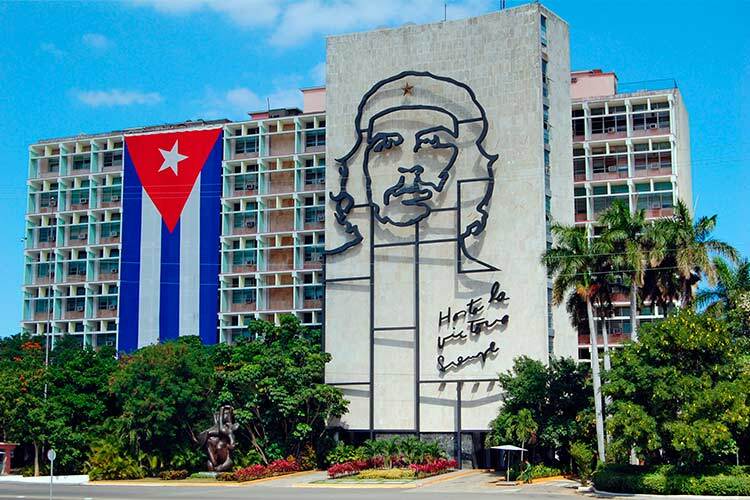 The Plaza de la Revolución is an extremely popular tourist attraction centred around numerous monuments to Cuban heroes like Jose Marti and Che Guevara. Live music is extremely popular in Havana, and visitors should have no trouble finding hotels, restaurants and cafes that host live events on a regular basis. 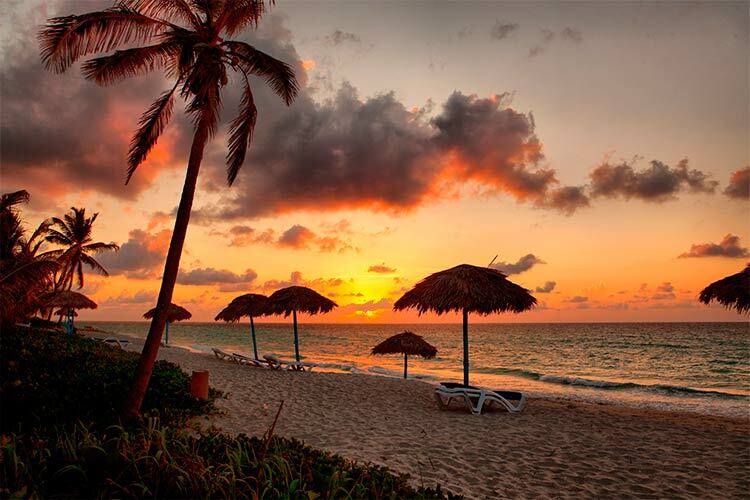 Varadero is the tourist capital of Cuba. 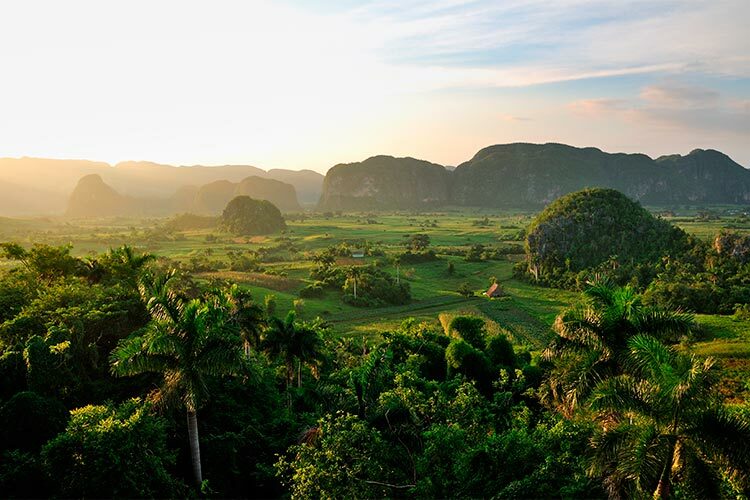 While life there barely resembles the rest of Cuba, the area is extremely lovely and blessed with natural beauty. Expect all-inclusive resorts and upscale dining. Many people come to Varadero for its golf course, which is the only full course in all of Cuba. Of course, the main attraction of this area is the beaches, which feature classic Caribbean turquoise waters and soft, powdery sand. Parque Josone is a massive central park in Varadero, and features everything from a botanical garden to a flamingo population. 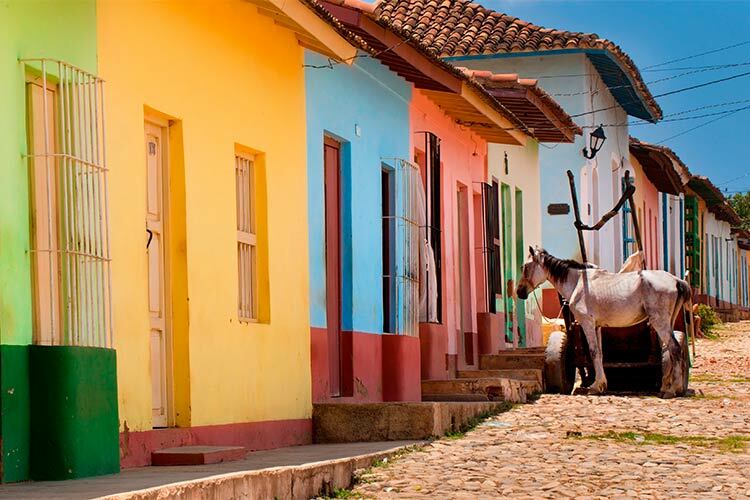 Considering the entire city of Trinidad has been declared a UNESCO World Heritage site, it’s not surprising that this quaint town is one of Cuba’s most attractive destinations. The town’s colonial centre is surprisingly well kept up, and features numerous examples of classic Spanish architecture. Trinidad is known for its salsa music, which can be heard throughout the city. La Casa de la Música is one of the more popular locations to come dance to salsa music. Near Trinidad sits Topes de Callantes, a gorgeous national park with exquisite waterfalls. The park is divided into several tourist areas. Though Parque Altiplano is general considered the premier section, each has its own merits and unique wildlife. 1) Isla de Juventud is an island off the southern coast of Cuba near Havana. The island is mostly known for its beaches, of which Playa Paraíso is the most famous. This beach is also known as a decent location for scuba diving and snorkeling. Other popular activities on Isla de Juventud include hiking and visit Nuevo Gerona, a small settlement. 2) While in Havana, be sure to visit the Plaza de Armas. This area contains many of Havana’s colonial era structures. The Plaza de la Revolución is also a popular tourist site, due mostly to its historical importance and monuments. Havana is also one of the best places for Cuban nightlife, with numerous venues for live music and dancing. 3) Few things are as sweet as sipping a mojito whilst lounging on the beach in Varadero. When you’ve soaked up enough sun, head inside to do some shopping at one of the numerous shops. Alternatively, visit the lovely Parque Josone in central Varadero. In the evening, be sure to dine out, as this area contains many of Cuba’s fanciest eateries. 4) Explore the historic city centre of Trinidad, which features a number of well preserved colonial era buildings. Be sure to listen to some salsa music, the city’s speciality, while you’re there, and don’t be afraid to join in the dancing. Trinidad is also a great base of operations for exploring Topes de Callantes, one of Cuba’s best national parks. 5) Santa Clara played a huge role in Cuba’s revolutionary struggles, and fittingly it holds the mausoleum for those killed during the conflict. It has also acquired the remains of Che Guevara, as well as erected a massive statue and a museum dedicated to his legacy. The city also contains a few well maintained parks, including Parque de los Mártires and Parque del Carmen. 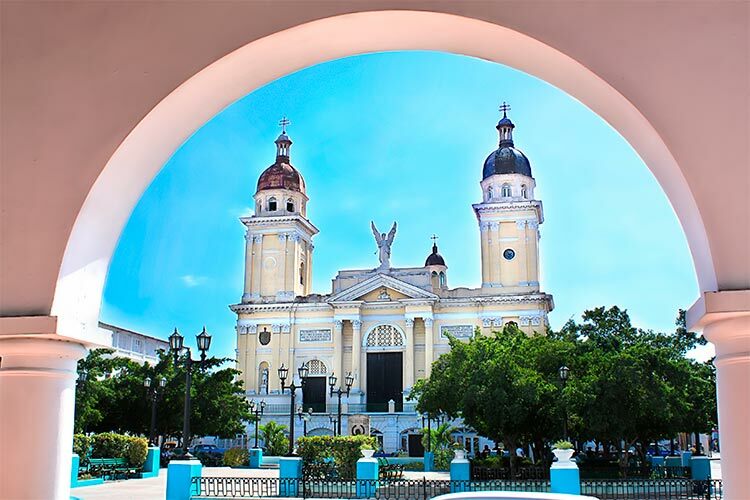 6) Santiago de Cuba is the second largest Cuban city, and as such features lots for tourists to do. The city contains an old fort called El Castillo de San Pedro de la Roca, which is well worth a visit. Furthermore, the city sits nearby Baconao Park. This area features numerous exhibits, ranging from wildlife preserves to recreated Taíno villages. There is also a prehistoric area with large recreations of dinosaurs and other ancient creatures. 7) Baracoa was the first capital of Cuba established by the Spaniards. In Baracoa, it’s easy to spend time simply wandering through the streets and gazing at the colonial era structures. The city contains three fortresses, which today act as a museum, restaurant and hotel. Another popular site is the Parque de la Independencia. This park features a monument to famous Taíno leader Hatuey.